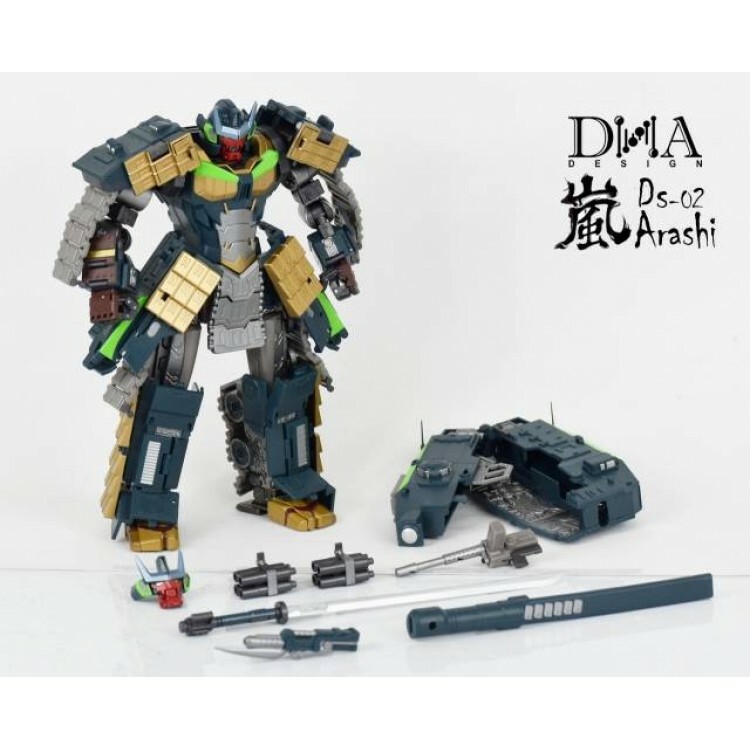 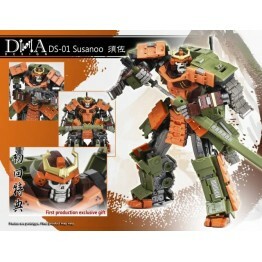 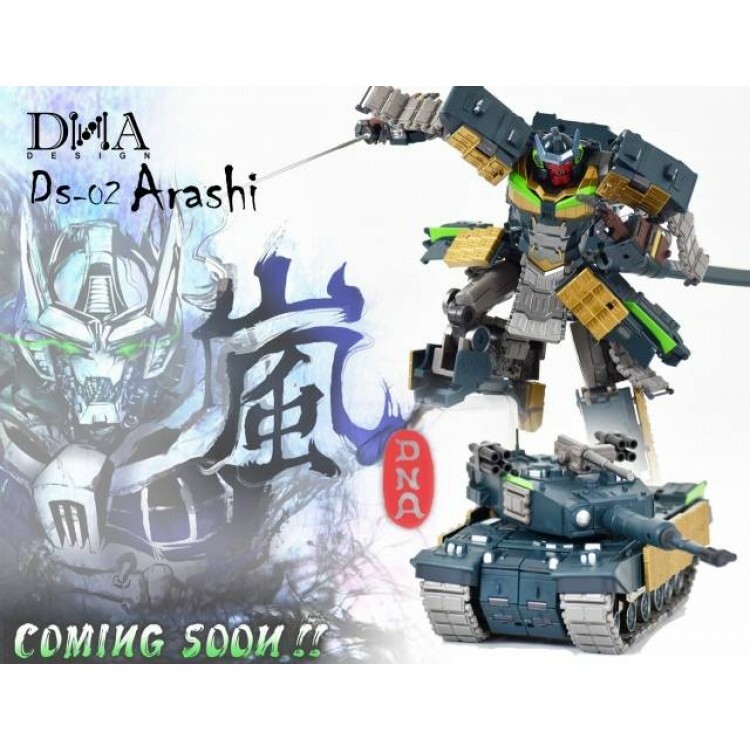 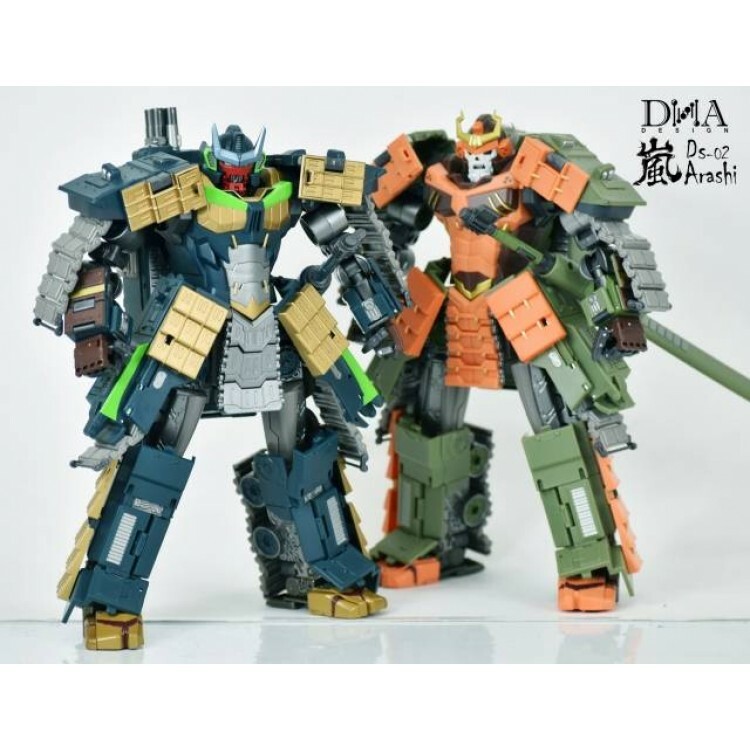 The next figure from DNA Designs is DS-01 Arashi! 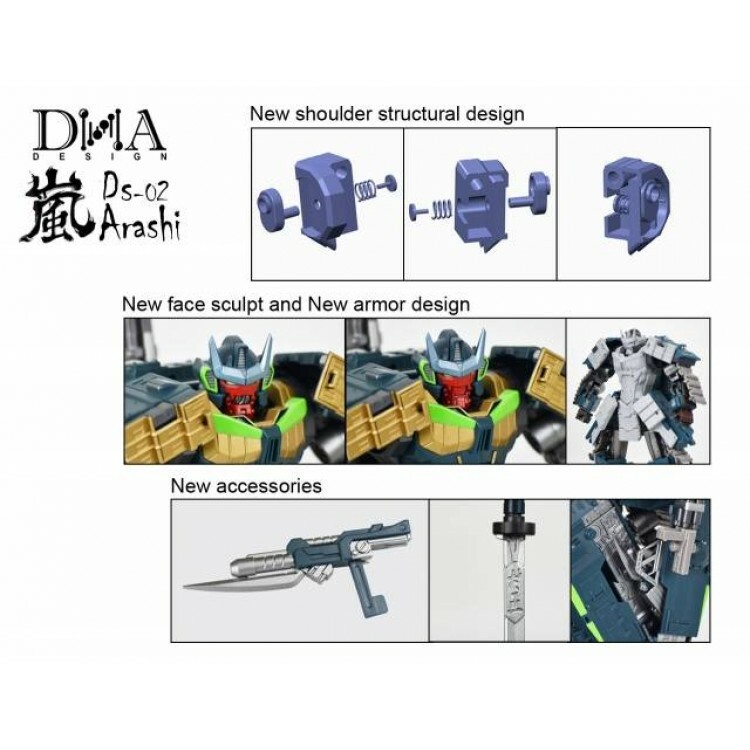 Arashi includes new structural shoulder designs from Susanoo, new face skulpt and armor design and new accessories! 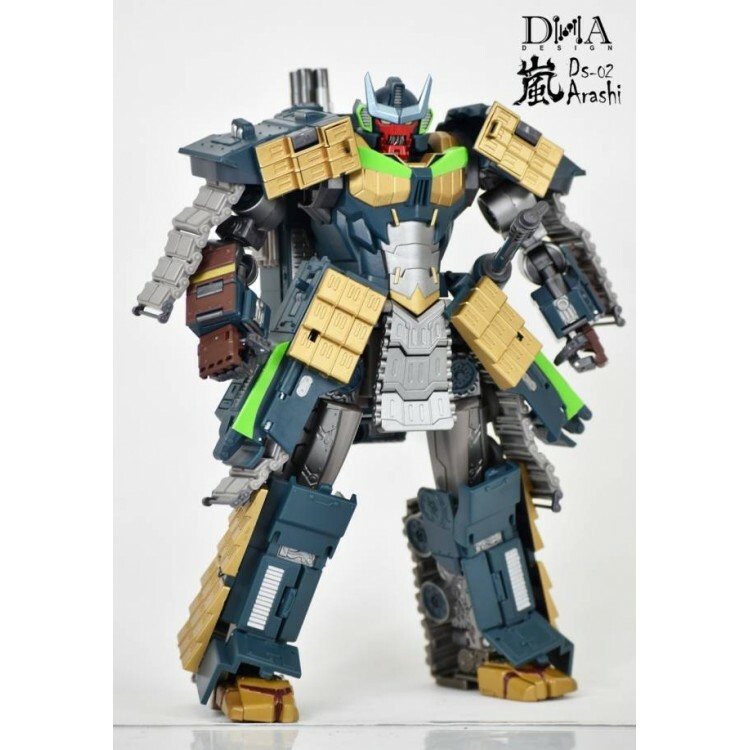 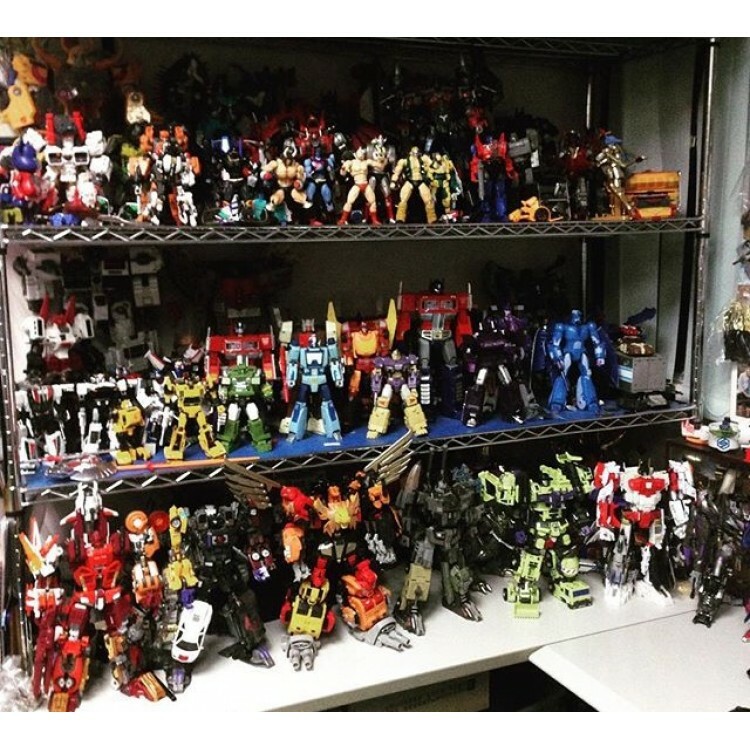 Highly articulated and made of PVC, ABS and die-cast this masterpiece scaled figure transforms from Bushido robot to tank and back! 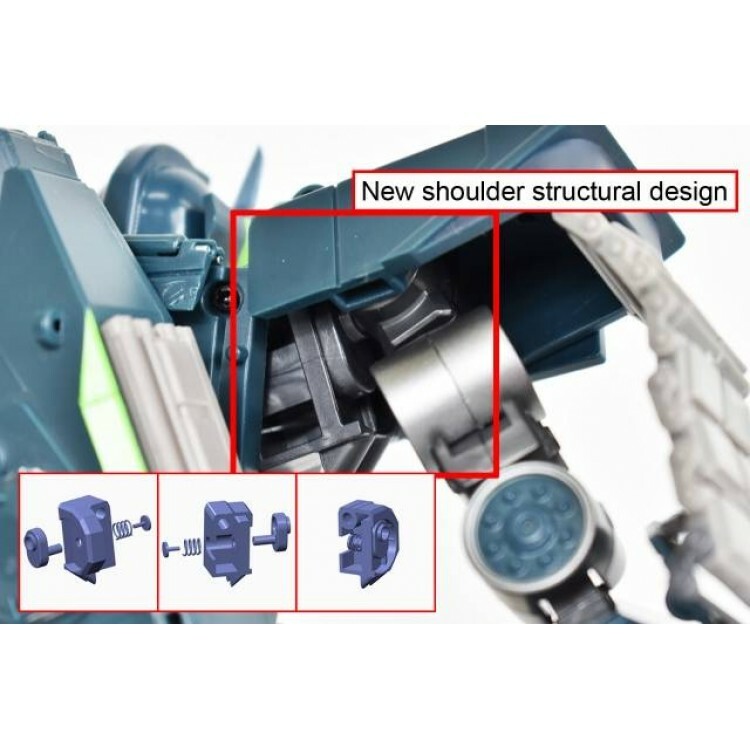 Figure stands approximately 22CM/8.7 inches tall in robot mode. 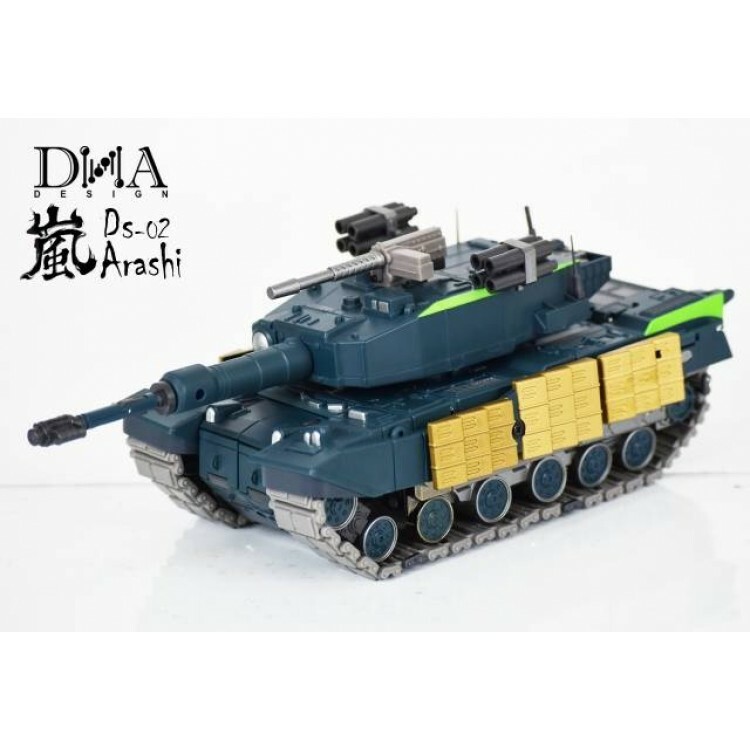 This is also the first production run of this piece that will include a free bonus gift.